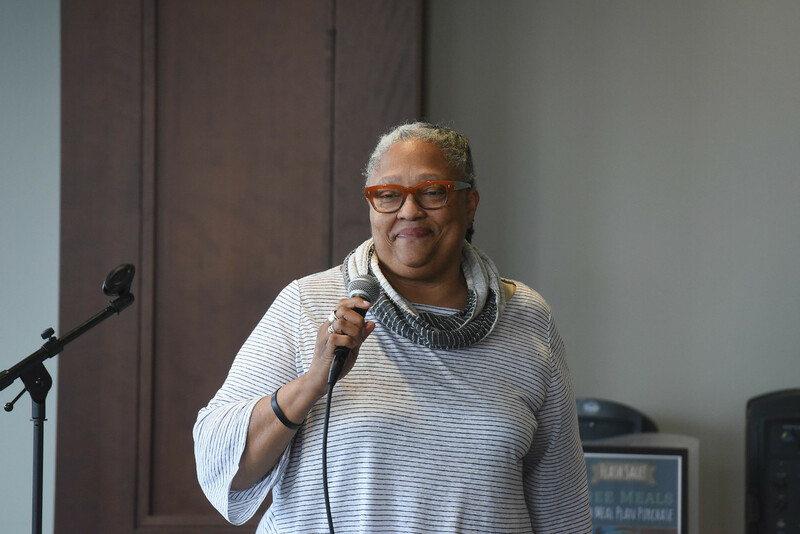 Dean Emilie Townes speaks at Belmont University in Nashville, Tennessee, April 3, 2018. The Rev. Dr. Emilie M. Townes visited Belmont last week for a faculty lunch event highlighting the value of diversity in Christian higher education. Townes currently serves as dean of Vanderbilt Divinity School and is the E. Rhodes and Leona B. Carpenter Professor of Womanist Ethics and Society. The first African American dean of Vanderbilt Divinity School and first African American female president of the American Academy of Religion (2008), she is the author of numerous books—including, “Womanist Ethics and the Cultural Production of Evil” (Palgrave Macmillan Press, 2006). She is an ordained clergywoman in the American Baptist Churches USA. The Diversity Lunch Series will continue next year under the guidance of the committee with generous support from the Provost’s Office.